A perfect complement to our Black Velvet Doublet, these black-on-black brocade paned pants have open slashes and a button-up front. They create a very noble look. They are offered in small/medium or large/x-large. 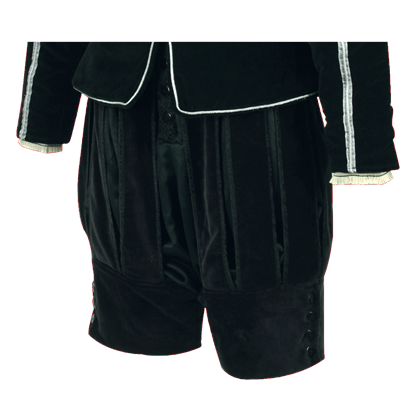 These are period black knee britches with a royal satin like finish. They sport a button-up front and lace-up back with laced calves. 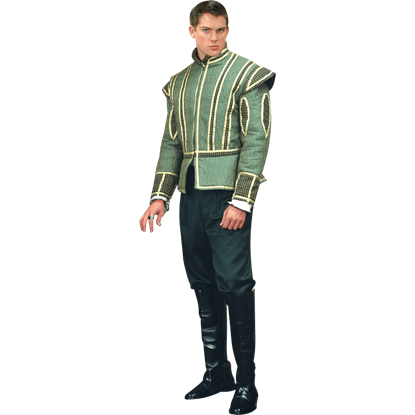 Made from rayon, they were inspired by the Showtime Original Series - The Tudors.